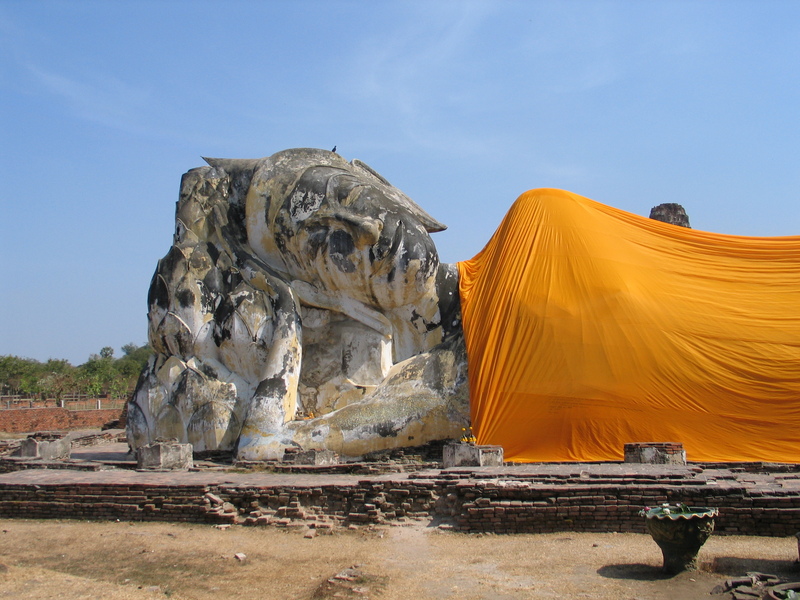 Reclining Buddha in Ayutthaya, Thailand. Last post I promised to devote my next chapter to the meal prepared in my home by Thai massage-yoga-guru Lawan and her cousin Supapan. I often think that cooking is the root of successful relationships. Jan and I are a summer Tanglewood romance that is still going strong and we love to cook together. The performing arts demand physical stamina so paying attention to your health is part of your job. And how your body is functioning cannot be separated from how your mind is functioning. 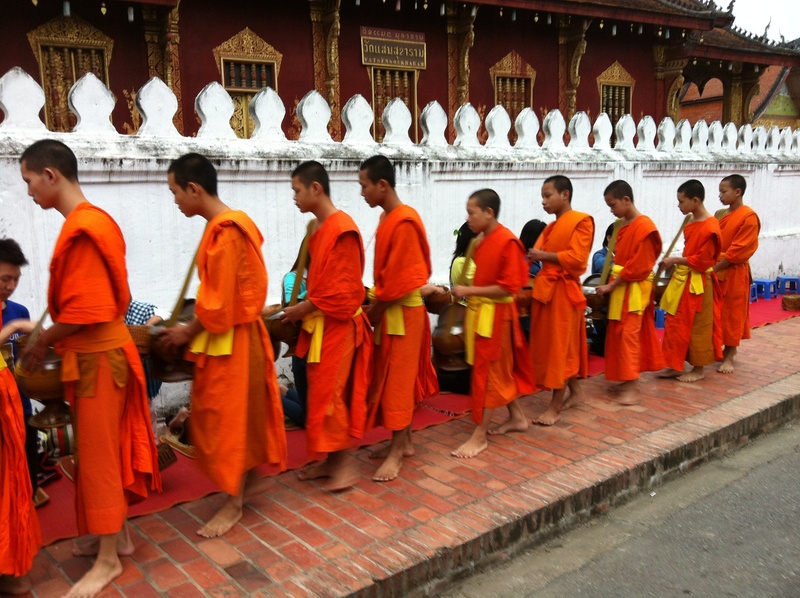 Separating the two is, for me, one of the big blind spots of Western culture. To change how you think, change how you eat. Sweet. Sour. Spicy. Salty. Bitter. 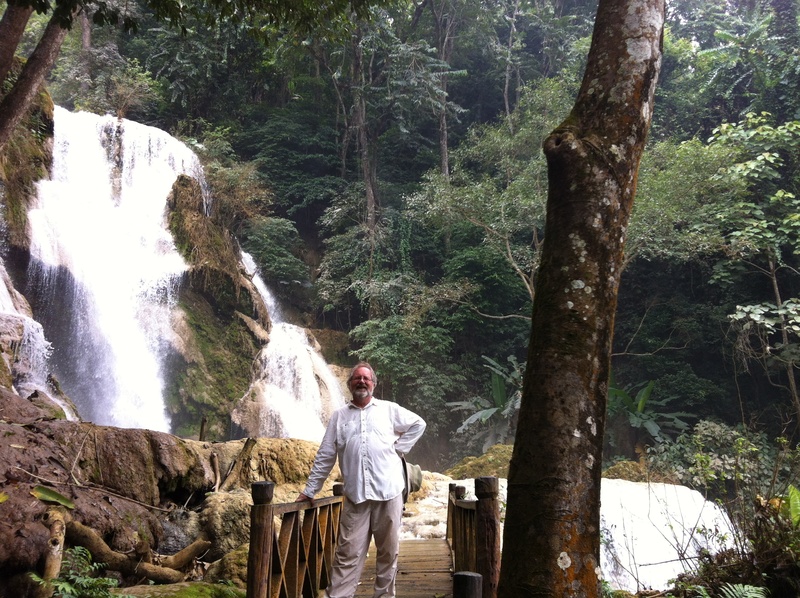 Though the photo above somewhat reveals the impact of the last of the numerous Kuang Si Falls outside of Luang Prabang in Laos, I am going to create a photo journey for you to share what is, for me, one of the most lovely places on Planet Earth I’ve seen. 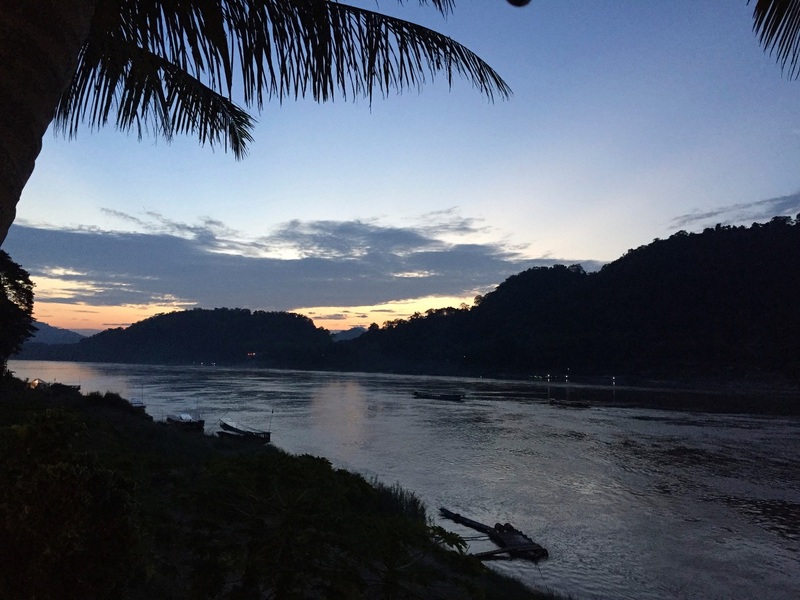 The meeting of the Nam Khan and Mekong Rivers in Luang Prabang. 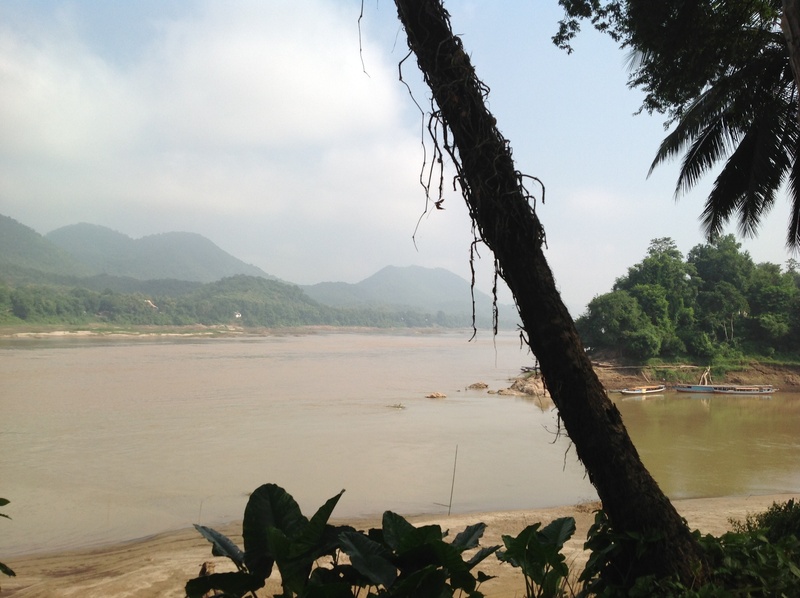 The view north up the Mekong River from Luang Prabang beckons with mystery. Soft clouds, ranges of mountains both close and far, a strong current flowing south to Cambodia and Vietnam, a breeze coming from distant China in the north. Autumn in the air. And the 4,000 Buddhas of the Pak Ou Caves at the end of a two hour Mekong journey.